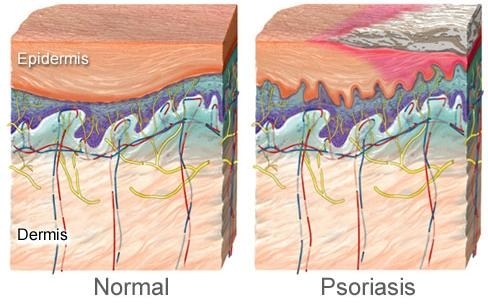 Psoriasis, an autoimmune disorder is characterized by the scaly, dry and red patches on the skin. It is considered to be a chronic skin condition. It is non-infectious in nature. With treatment methodologies tested over the centuries, Ayurveda offers the most effective and dependable solution to the disease. The effective treatment of psoriasis is rooted in the power of Ayurveda. Pure Ayurveda treatment methodologies developed from nature gives no scope for side effects as well. Ayurveda describes psoriasis as a result of the accumulation of toxins and the subsequent vitiation of Vata, raktha, and Kapha. Vaidya Healthcare Hospital, based in Perumbavoor, Kochi is an ayurvedic hospital specializing in effective skin disease treatment under the expertise and leadership a team of experts.